Background: With regard to the particularly high prevalence, cost, and number of disabilities associated with diabetes, increasing patients’ knowledge and skills for managing the disease can help minimize the risks of complications. Objective: The present study aimed to design and evaluate a mobile-based application with which patients with type 2 diabetes can increase their knowledge of and skills for managing their disease. Methods: The current developmental-applied study was conducted in 2016 in a library and used a 2-step sectional format. The research population comprised 15 physicians and endocrinologists working in medical centers associated with Tehran University of Medical Sciences and 20 physicians and patients. Based on the library study, a checklist was designed and then distributed among participants. Their responses were analyzed using SPSS software version 20. Results: The data was divided into 4 main sections: identity information (patient demographics), clinical information, education curriculum related to diabetes management, and program requirements for diabetes management, which consisted of 52 subsets. The evaluation of the system by doctors and patients showed that the system has high capabilities. Conclusion: Mobile-based programs can help diabetics control blood glucose levels, reduce diabetes complications, and promote overall health. World Health Organization. Definition, diagnosis and classification of diabetes mellitus and its complications. Geneva, Switzerland: World Health Organization; 1999. Ahmadi M, Aslani N. Capabilities and advantages of cloud computing in the implementation of electronic health record. Acta Inform Med. 2018;26(1):24-28. doi:10.5455/aim.2018.26.24-28. Mulcahy K, Maryniuk M, Peeples M, et al. Diabetes self-management education core outcomes measures. Diabetes Educ. 2003;29(5):768-770, 773-784, 787-768 passim. doi:10.1177/014572170302900509. Wantland DJ, Portillo CJ, Holzemer WL, Slaughter R, McGhee EM. The effectiveness of Web-based vs. non-Web-based interventions: a meta-analysis of behavioral change outcomes. J Med Internet Res. 2004;6(4):e40. doi:10.2196/jmir.6.4.e40. Pinciroli F, Corso M, Fuggetta A, Masseroli M, Bonacina S, Marceglia S. Telemedicine and e-health. IEEE Pulse. 2011;2(3):62-70. doi:10.1109/MPUL.2011.941524. Piette JD. Interactive behavior change technology to support diabetes self-management: where do we stand? Diabetes Care. 2007;30(10):2425-2432. doi:10.2337/dc07-1046. Norris SL, Lau J, Smith SJ, Schmid CH, Engelgau MM. Self-management education for adults with type 2 diabetes: a meta-analysis of the effect on glycemic control. Diabetes Care. 2002;25(7):1159-1171. doi:10.2337/diacare.25.7.1159. Funnell MM, Kruger DF, Spencer M. Self-management support for insulin therapy in type 2 diabetes. Diabetes Educ. 2004;30(2):274-280. doi:10.1177/014572170403000220. Marrero DG, Vandagriff JL, Kronz K, et al. Using telecommunication technology to manage children with diabetes: the Computer-Linked Outpatient Clinic (CLOC) Study. Diabetes Educ. 1995;21(4):313-319. doi:10.1177/014572179502100409. Ibbini M. A PI-fuzzy logic controller for the regulation of blood glucose level in diabetic patients. J Med Eng Technol. 2006;30(2):83-92. doi:10.1080/03091900500049528. Wu Y, Yao X, Vespasiani G, et al. Mobile App-Based Interventions to Support Diabetes Self-Management: A Systematic Review of Randomized Controlled Trials to Identify Functions Associated with Glycemic Efficacy. JMIR Mhealth Uhealth. 2017;5(3):e35. doi:10.2196/mhealth.6522. Boyle L, Grainger R, Hall RM, Krebs JD. Use of and Beliefs About Mobile Phone Apps for Diabetes Self-Management: Surveys of People in a Hospital Diabetes Clinic and Diabetes Health Professionals in New Zealand. JMIR Mhealth Uhealth. 2017;5(6):e85. doi:10.2196/mhealth.7263. Clements MA, Staggs VS. A Mobile App for Synchronizing Glucometer Data: Impact on Adherence and Glycemic Control Among Youths With Type 1 Diabetes in Routine Care. J Diabetes Sci Technol. 2017;11(3):461-467. doi:10.1177/1932296817691302. Iranian Diabetes Society. Books Set. http://www.ids.org.ir/. Accessed 15 Feb 2015. Farjami A, Haghpanah S, Arasteh P, et al. Epidemiology of hereditary coagulation bleeding disorders: A 15-year experience from southern Iran. Hosp Pract Res. 2017;2(4):113-117. doi:10.15171/hpr.2017.27. Ko GT, So WY, Tong PC, et al. From design to implementation--the Joint Asia Diabetes Evaluation (JADE) program: a descriptive report of an electronic web-based diabetes management program. BMC Med Inform Decis Mak. 2010;10:26. doi:10.1186/1472-6947-10-26. Jennings A, Powell J, Armstrong N, Sturt J, Dale J. A virtual clinic for diabetes self-management: pilot study. J Med Internet Res. 2009;11(1):e10. doi:10.2196/jmir.1111. Holmen H, Wahl AK, Cvancarova Smastuen M, Ribu L. Tailored Communication Within Mobile Apps for Diabetes Self-Management: A Systematic Review. J Med Internet Res. 2017;19(6):e227. doi:10.2196/jmir.7045. Perez-Gandia C, Facchinetti A, Sparacino G, et al. Artificial neural network algorithm for online glucose prediction from continuous glucose monitoring. Diabetes Technol Ther. 2010;12(1):81-88. doi:10.1089/dia.2009.0076. Holopainen A, Galbiati F, Voutilainen K, EHIT L. Use of modern mobile technologies to enhance remote self-care services. Helsinki, Finland: 2006;139. Quinn CC, Clough SS, Minor JM, Lender D, Okafor MC, Gruber-Baldini A. WellDoc mobile diabetes management randomized controlled trial: change in clinical and behavioral outcomes and patient and physician satisfaction. Diabetes Technol Ther. 2008;10(3):160-168. doi:10.1089/dia.2008.0283. Roek MG, Welschen LM, Kostense PJ, Dekker JM, Snoek FJ, Nijpels G. Web-based guided insulin self-titration in patients with type 2 diabetes: the Di@log study. Design of a cluster randomised controlled trial [TC1316]. BMC Fam Pract. 2009;10:40. doi:10.1186/1471-2296-10-40. Cho JH, Lee HC, Lim DJ, Kwon HS, Yoon KH. Mobile communication using a mobile phone with a glucometer for glucose control in Type 2 patients with diabetes: as effective as an Internet-based glucose monitoring system. J Telemed Telecare. 2009;15(2):77-82. doi:10.1258/jtt.2008.080412. Dobson R, Whittaker R, Murphy R, et al. The use of mobile health to deliver self-management support to young people with type 1 diabetes: a cross-sectional survey. JMIR Diabetes. 2017;2(1):e4. doi:10.2196/diabetes.7221. Goyal S, Nunn CA, Rotondi M, et al. A Mobile App for the Self-Management of Type 1 Diabetes Among Adolescents: A Randomized Controlled Trial. JMIR Mhealth Uhealth. 2017;5(6):e82. doi:10.2196/mhealth.7336. Gao C, Zhou L, Liu Z, Wang H, Bowers B. Mobile application for diabetes self-management in China: Do they fit for older adults? Int J Med Inform. 2017;101:68-74. doi:10.1016/j.ijmedinf.2017.02.005. Zhang X, Han X, Dang Y, Meng F, Guo X, Lin J. User acceptance of mobile health services from users’ perspectives: The role of self-efficacy and response-efficacy in technology acceptance. Inform Health Soc Care. 2017;42(2):194-206. doi:10.1080/17538157.2016.1200053. 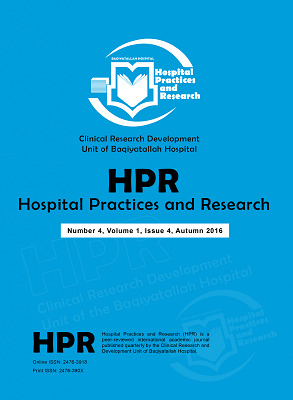 Garavand A, Samadbeik M, Kafashi M, Abhari S. Acceptance of Health Information Technologies, Acceptance of Mobile Health: A Review Article. J Biomed Phys Eng. 2017;7(4):403- 408. Zaires S, Perrakis G, Bekri E, Katrakazas P, Lambrou G, Koutsouris D. Chronic Disease Management via Mobile Apps: The Diabetes Case. In: Eskola H, Väisänen O, Viik J, Hyttinen J, eds. EMBEC & NBC 2017. EMBEC 2017, NBC 2017. IFMBE Proceedings, vol 65. Singapore: Springer; 2017:177-180. doi:10.1007/978-981-10-5122-7_45.